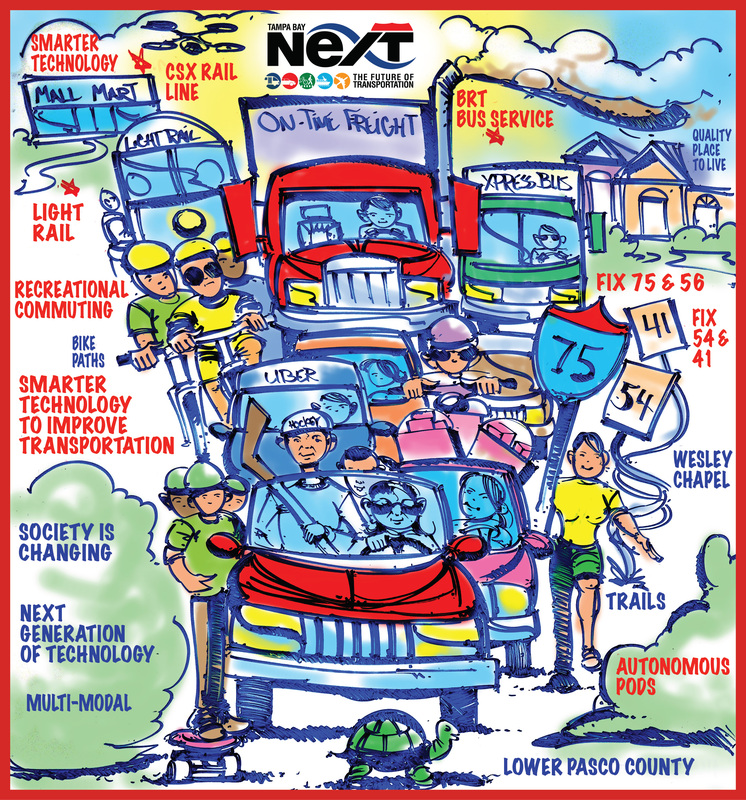 We’re ready to roll up our sleeves and turn ideas into action. 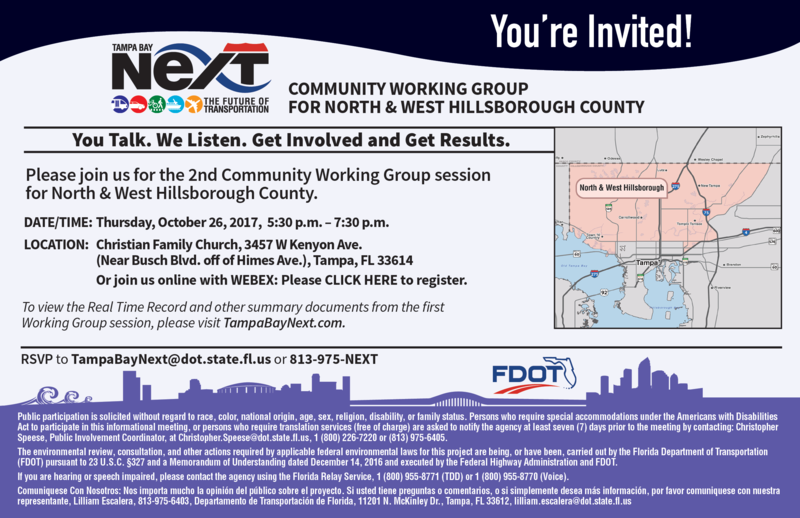 FDOT received a clear message from interacting with residents, business leaders and elected officials about TBX. 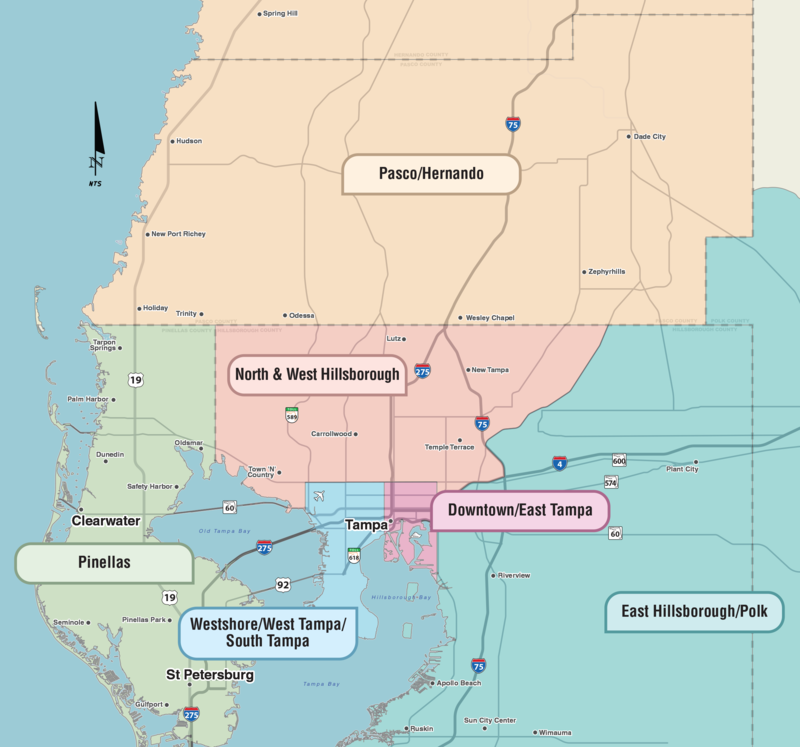 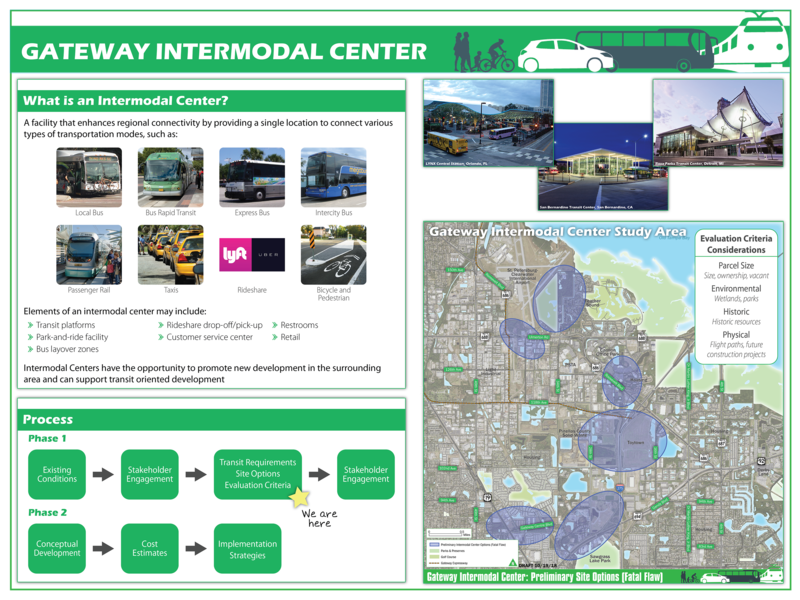 Tampa Bay wants FDOT to approach interstate improvements as part of a broader vision for truly integrated, multimodal regional transportation solutions, and this region wants transportation agencies and government organizations to work together. 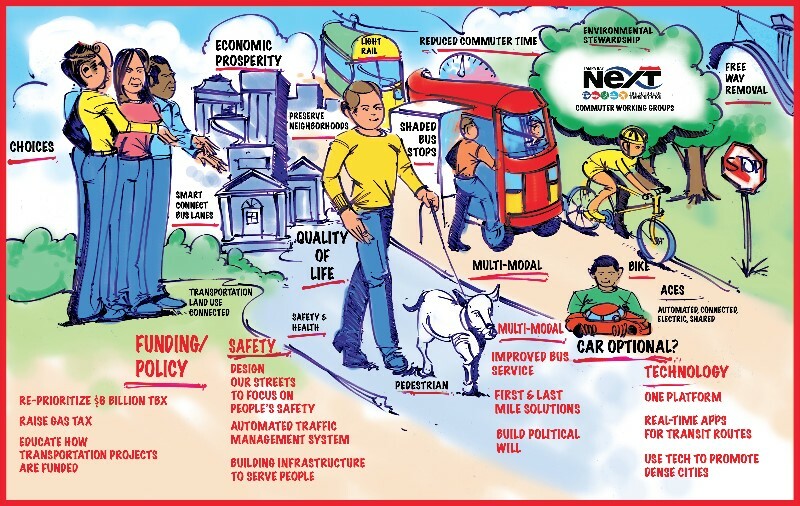 FDOT wants to provide the community a more open and transparent view into the transportation planning process. 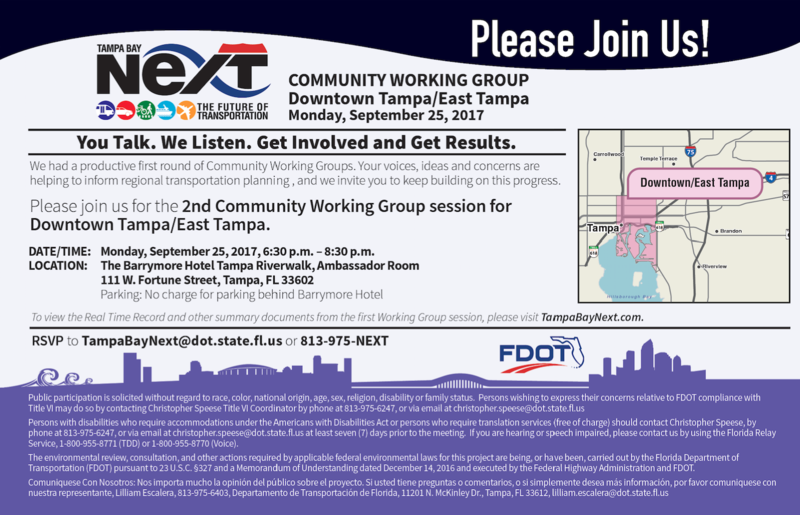 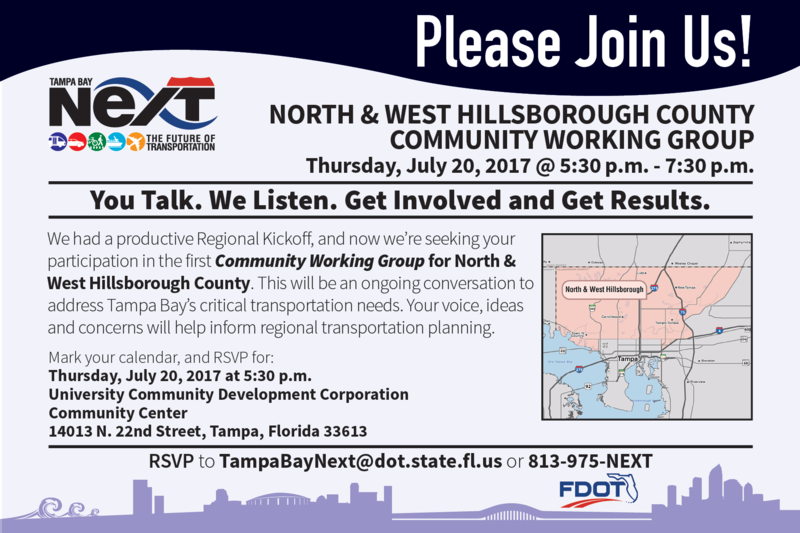  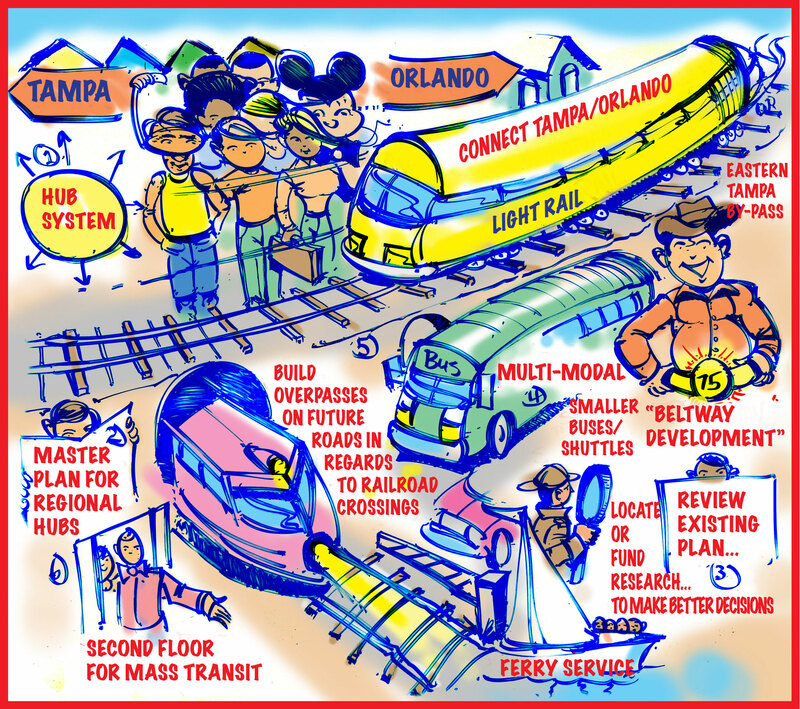 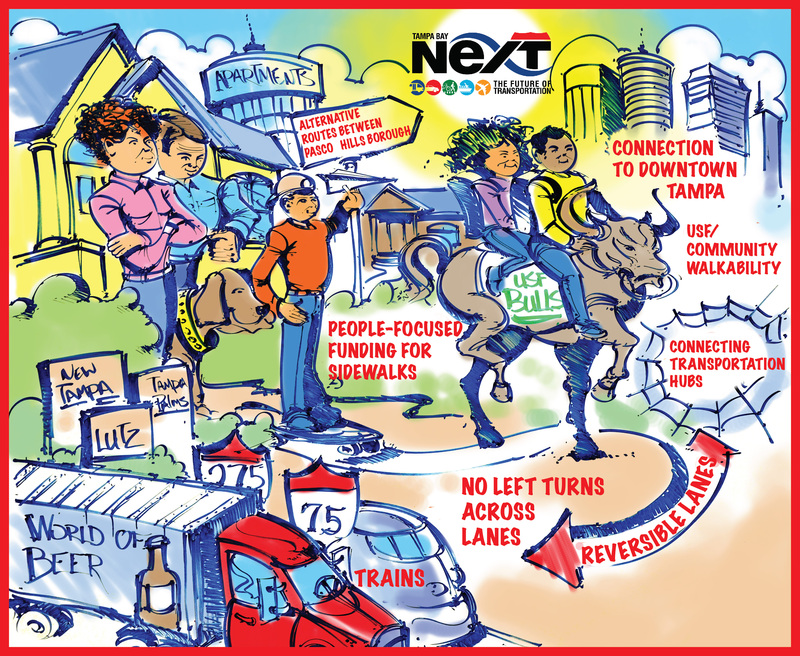 Engage Tampa Bay in a collaborative, productive conversation to develop a regional action plan for transportation. 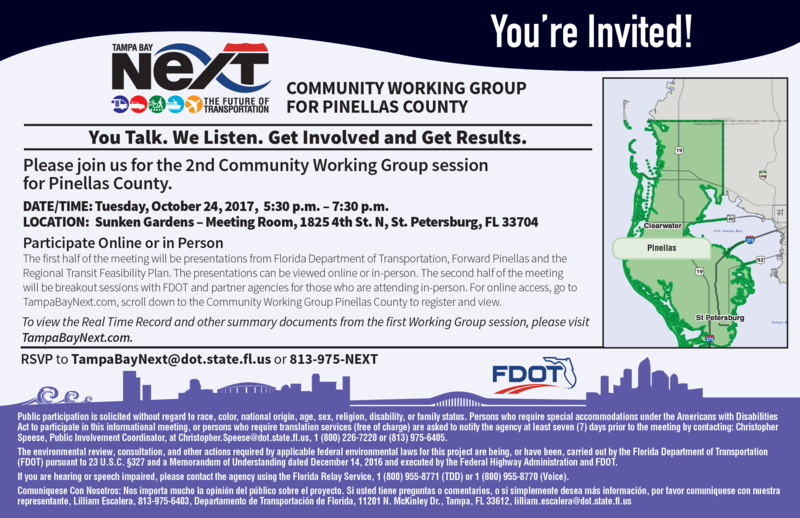 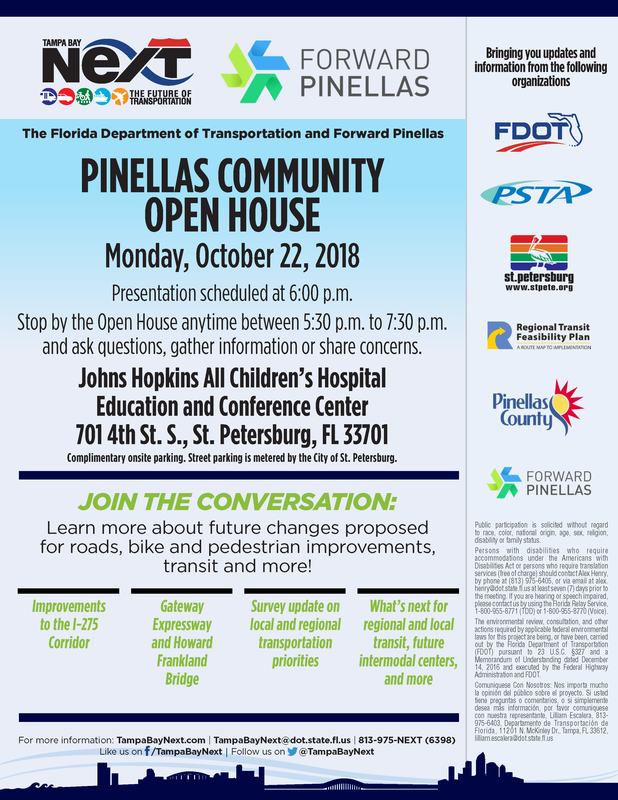 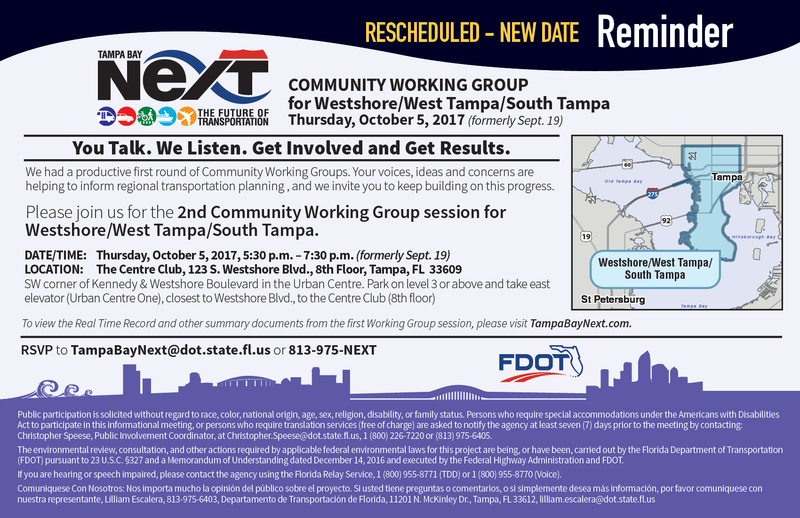 Ensure two-way dialogue with the community on FDOT’s current projects and provide a new mechanism for incorporating community feedback into the planning process. 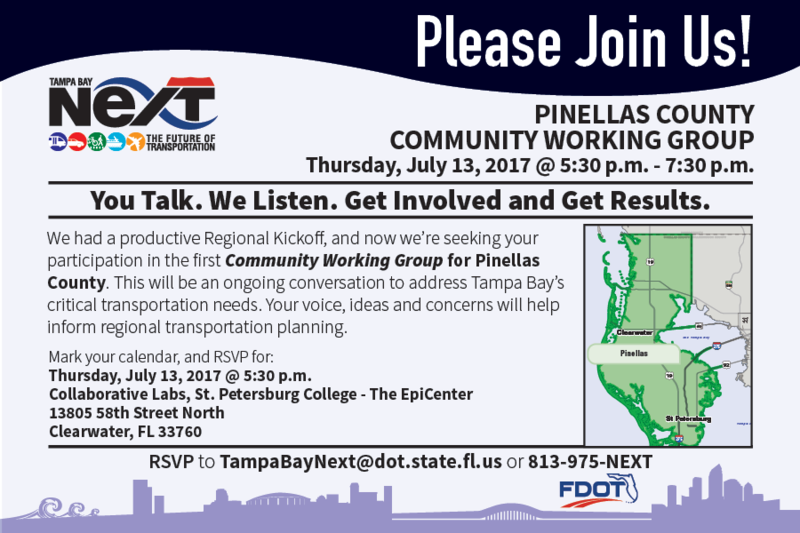 Collaborative Labs, a Tampa Bay-based, third party, independent facilitator, will focus the Community Working Groups’ discussions on producing actionable results that balance regional level goals with community level concerns. We’re inviting all our local and regional partners to these roundtable discussions. 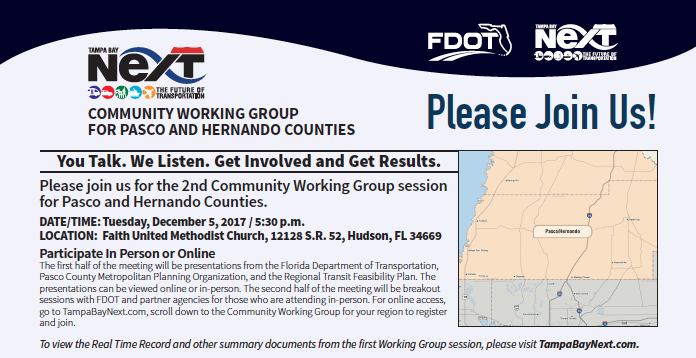 For the latest Community Working Groups schedule, click here. 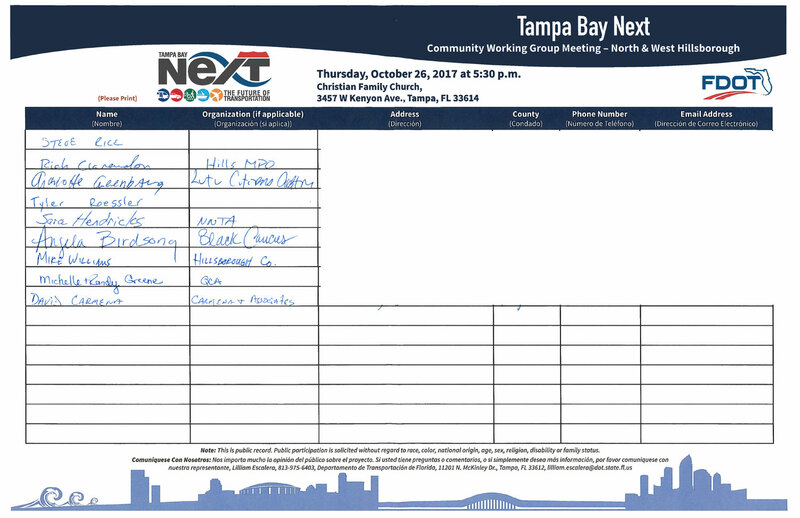 There are six Community Working Groups throughout the Tampa Bay region.